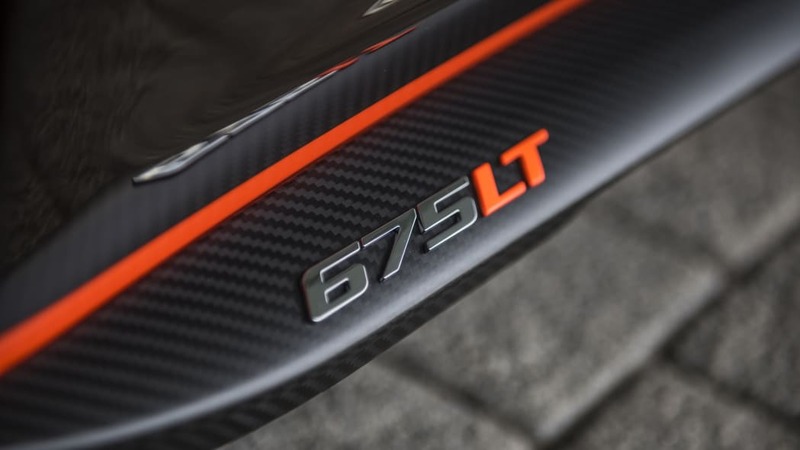 The McLaren 675LT was designed as a lighter, faster version of the 650S, and it gained a lengthened tail section, hence the LT designation. 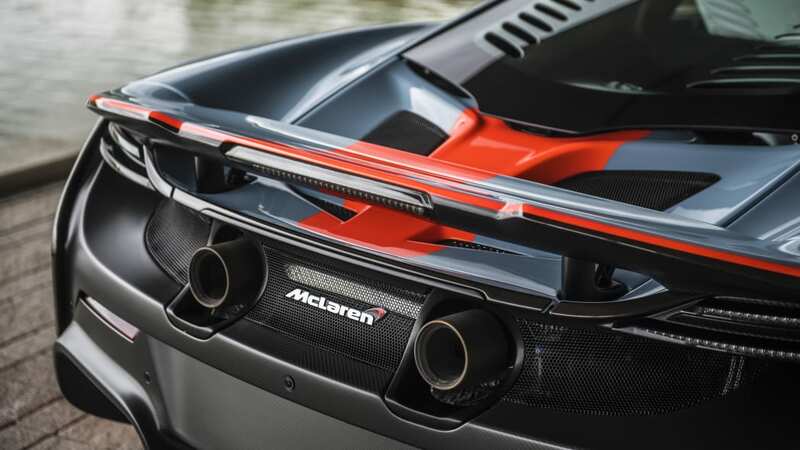 This longer design was partly inspired by the McLaren F1 GTR "longtail." That race car also featured a longer body. 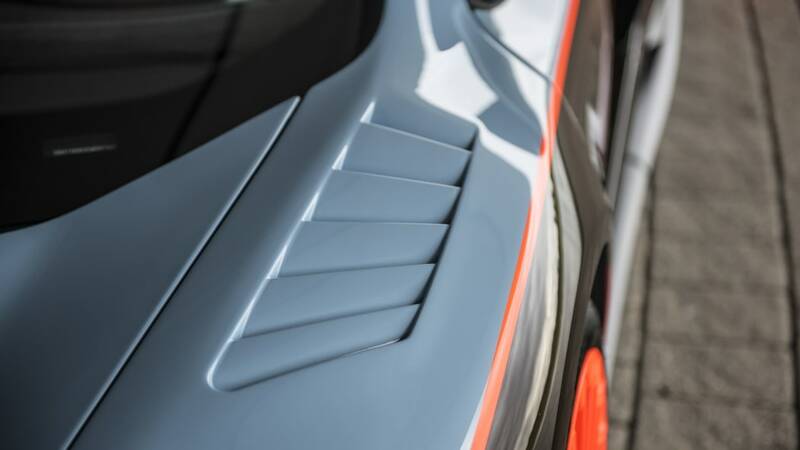 One 675LT customer decided bodywork wasn't enough of a connection to the famous '90s racer, so he commissioned the race-inspired paint scheme you see above. 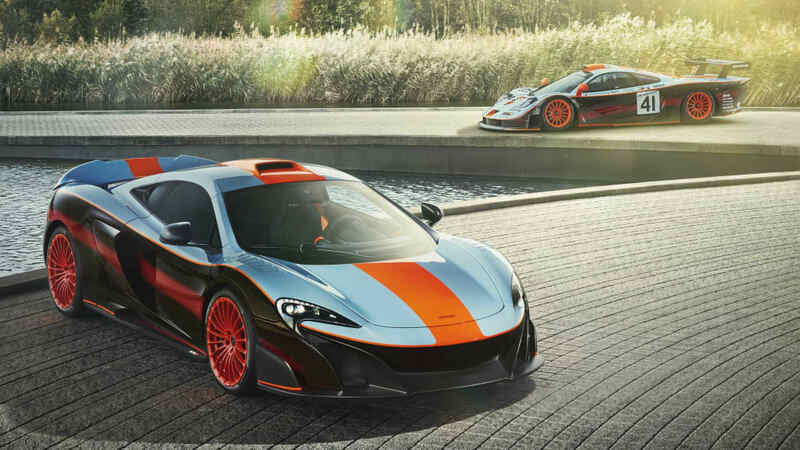 The paint job is a rendition of the 1997 Le Mans GT1 class-winning F1 GTR, which sported a livery based on main sponsor Gulf Oil. 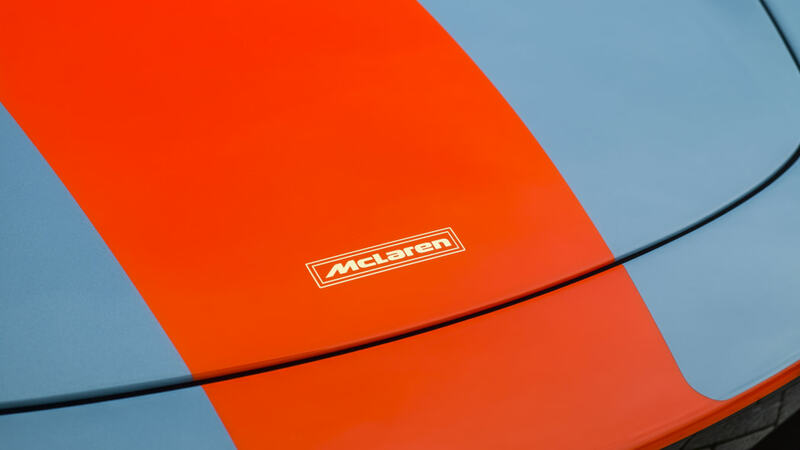 It's not a simple design, and it's one that McLaren completely painted. There are no stickers here. And it took a lot of work to complete. 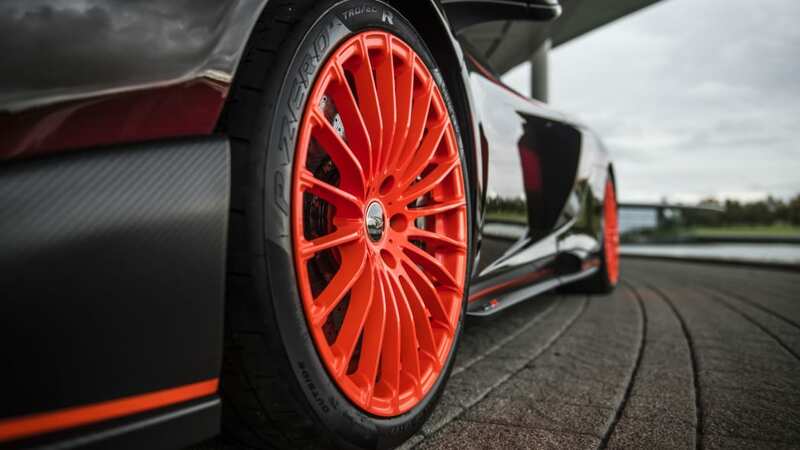 McLaren says the whole car took 1,000 hours to finish, and 800 of them were spent on the paint. 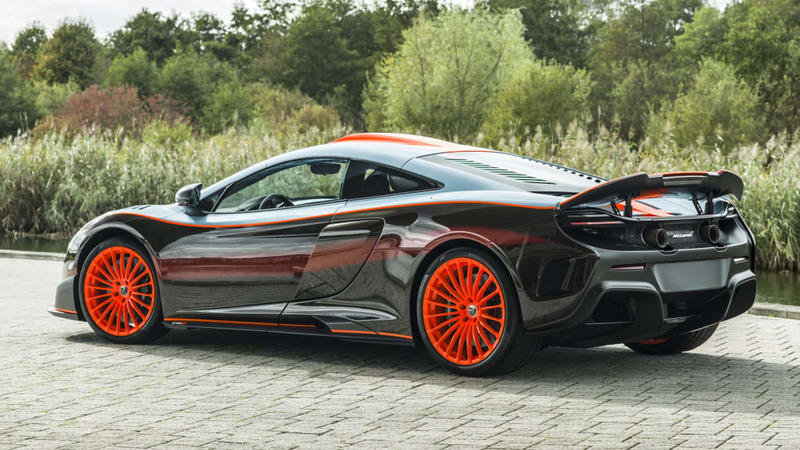 The company even had to ask Gulf Oil permission to use the color scheme again. But the end result is a convincing facsimile of the old race car, particularly with those almost glowing orange wheels. Aside from the striking paint, the car has a few exterior changes. 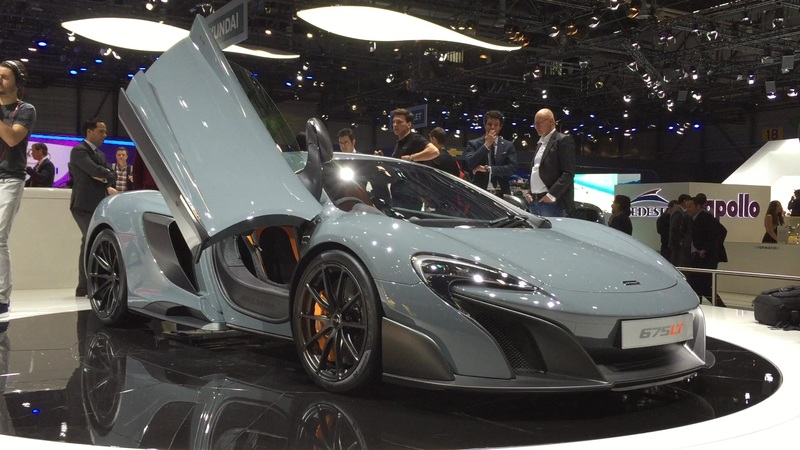 It has vented front fenders, a more prominent roof scoop, and a visible carbon-fiber rear air brake. 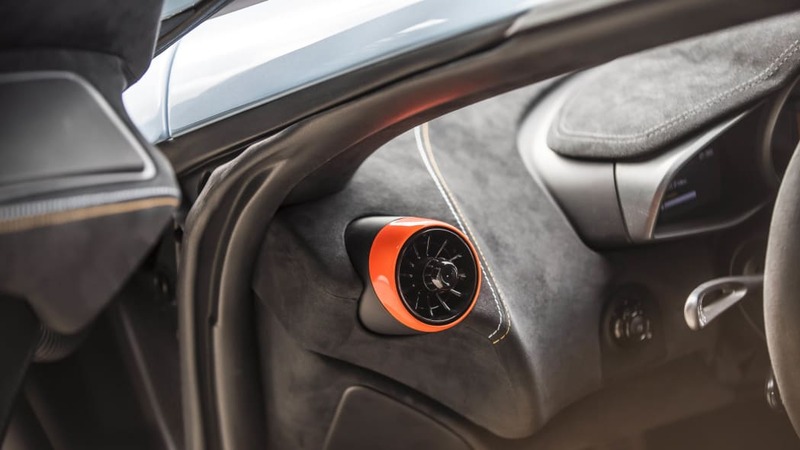 Inside, the car features black upholstery with contrasting orange and blue stitching, orange vent surrounds and seat belts, and blue handling and powertrain switchgear. The only things left unchanged are the performance numbers. It doesn't weigh any less than a normal model. 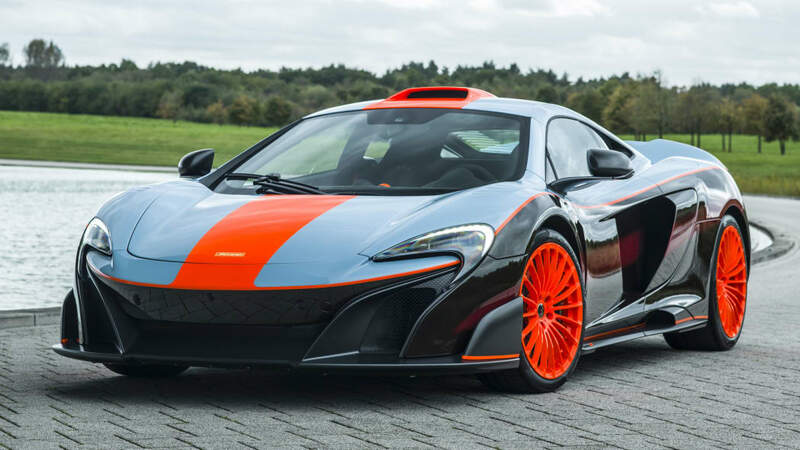 It also makes the same 666 horsepower and 516 pound-feet of torque as the regular 675LTs. But that should still be plenty of fun to play with, and surely the paint job makes it feel a lot faster.